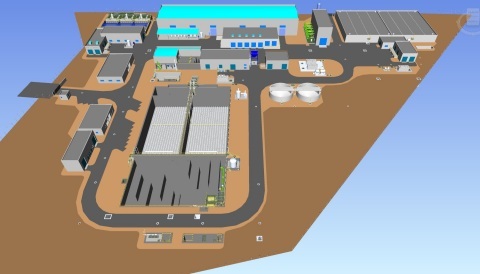 With the Provisur seawater desalination project, Peru’s first reverse osmosis*2 desalination plant is being constructed to supply 35,000 m3 of potable water per day to the 100,000 residents of the Santa Maria district. Water distribution and sewer pipelines (total length: 260 km), a sewage treatment plant (daily capacity: 15,500 m3), and an undersea pipeline (780 m) for the discharge of treated water are also being built. Part of the treated water will be used for watering plants in the local area. Expectations are high for this project because Lima and other coastal areas in Peru have a desert climate that gets very little rain throughout the year.